Organismes officiels : Avance sur Recettes du CNC, Fonds d’Action Sociale, Thecif Ile de France. Although El Hadj is studying in Paris, there is no question about his returning to Senegal to participate in his country’s development. However, the future he’d planned is severely challenged by the reality of his life in France. 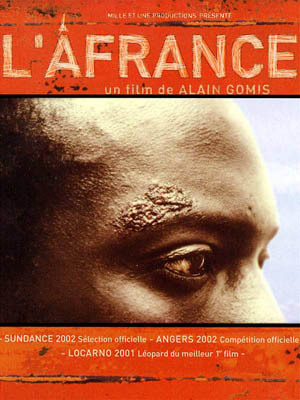 French-Senegalese director Gomis tells a story that cuts to the centre of one of the biggest issues in Europe at the moment: immigration and the residue of colonialism. The title is a play on words combining Africa and France, and this is precisely where the protagonist fi nds himself. El Hadj (Mbengue) is a young man from Senegal studying in Paris. When he’s picked up by the immigration service on a technicality, his world flips. He begins to loose track of who he is or what he wants. His fellow immigrant friends are themselves bundles of confusion and expectations, and as he begins to fall for Myriam (Zingg), a white woman, he really starts to doubt his firm goal to return home to his family and girlfriend.